Aberforth Partners is an investment management firm that provides investors with a high level of resource focussed exclusively on small UK quoted companies. Aberforth Smaller Companies Trust plc is an investment trust whose shares are traded on the London Stock Exchange. It is the largest trust within the UK Smaller Company sector. It was launched, and received its listing on the London Stock Exchange, on 10 December 1990 with net issue proceeds amounting to £14.7m. Aberforth Smaller Companies Trust’s objective is to achieve a net asset value total return (with dividends reinvested) greater than on the Hoare Govett Smaller Companies Index (Excluding Investment Companies) over the long term by investing in a diversified portfolio of small UK quoted companies. It has a widely diversified portfolio and has a formidible track record of dividend increases. Aberforth Split Level Income Trust was formed following the planned wind up of Aberforth Geared income trust. The dividend history up to fiscal year 2017 is for Aberforth Geared income trust. From fiscal year 2018 onwards the dividends are for Aberforth Split level income trust. The following is an extract from the Company's Annual Report and Accounts for the year to 31 December 2012. The Annual Report is expected to be posted to shareholders on 2 February 2013. Members of the public may obtain copies from Aberforth Partners LLP, 14 Melville Street, Edinburgh EH3 7NS or from its website at www.aberforth.co.uk. A copy will also shortly be available for inspection at the National Storage Mechanism at: www.morningstar.co.uk/uk/NSM facility. The objective of Aberforth Smaller Companies Trust plc (ASCoT) is to achieve a net asset value total return (with dividends reinvested) greater than on the Numis Smaller Companies Index (excluding Investment Companies) over the long term. ASCoT is managed by Aberforth Partners LLP. which is also heavily weighted towards large companies, gave a return of 12.3%. Meanwhile, the Numis Smaller Companies Index (excluding Investment Companies) (NSCI (XIC)), your Company's benchmark, gave a return of 29.9%. while the share price return (including reinvested dividends) was 43.9%. Returns of this magnitude require a health warning. They are unlikely to be matched in 2013. Importantly for your Company, the year witnessed a stirring in the fortunes of value investing within the NSCI (XIC), your Company's investment universe. Over the five calendar years from 2007-11 inclusive, value stocks within the NSCI (XIC) underperformed growth stocks by 9.4% p.a.. In 2012, there was a reversal of this trend. The year also saw exceptionally strong relative performance from the FTSE SmallCap Index, which beat the FTSE 250 Index for only the second year out of the last nine. This, too, is important since your Company's portfolio is positioned towards the lower end of the capitalisation range. The Managers' report expands in more detail on these themes and the interconnected influences of style and size. While 2012 witnessed a "rebranding" of your Company's investment benchmark which is now known as the Numis Smaller Companies Index (excluding Investment Companies), Shareholders should be aware the underlying data series and index methodology remains unaltered. Since your Company's formation in 1990, the NSCI (XIC) has risen by 10.8% p.a. By comparison, your Company's net asset value total return has increased by 13.3% p.a.. In 2012, the dividend experience from investee companies in general, continued to be positive. Your Company's investment objective is total return orientated rather than income orientated. However, as value investors, your Board and the Managers are acutely aware of the importance of the role that income plays in generating long term returns for both UK equities in general and your Company specifically. In this context, your Board is pleased to declare a second interim dividend, in lieu of a final dividend, of 15.25p. This results in total dividends for the year of 22.25p, representing an increase of 7.2% on 2011. Based on the year end share price of 695.5p, your Company's shares deliver a 3.2% yield. The investment objective of Aberforth Smaller Companies Trust plc (ASCoT) is to achieve a net asset value total return (with dividends reinvested) greater than on the Numis Smaller Companies Index (Excluding Investment Companies) (NSCI (XIC)) over the long term. 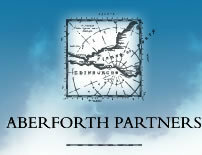 Aberforth Partners LLP are contracted as the Investment Managers and Secretaries to the Company. Aberforth Smaller Companies Trust plc (ASCoT) invests only in small UK quoted companies and is managed by Aberforth Partners LLP. All data throughout this Half Yearly Report are to, or as at, 30 June 2012 as applicable, unless otherwise stated. The investment objective of ASCoT is to achieve a net asset value total return (with dividends reinvested) greater than on the Numis Smaller Companies Index (excluding Investment Companies) over the long term. For the six months to 30 June 2012, Aberforth Smaller Companies Trust plc (ASCoT) achieved a net asset value total return of 13.0%, which compares with a total return of 11.6% from your Company's investment benchmark, the Numis Smaller Companies Index excluding Investment Companies (NSCI (XIC)), formerly known as the RBS Hoare Govett Smaller Companies Index. Meanwhile, the larger company oriented FTSE All-Share Index registered a total return of 3.3%. Over the period, smaller companies thus delivered a return that was 8.3 percentage points higher than on the FTSE All-Share, while ASCoT's NAV return exceeded the FTSE All-Share by 9.7 percentage points. The NSCI (XIC) represents a change in name only for your Company's investment benchmark. The data and series continue to be provided by London Business School and represent an unbroken series since 1955. The Managers' Report provides greater insight into the influences that have affected markets and your Company during the period. It has once again been a volatile period for markets with events in the Eurozone continuing to cast a shadow. Around the world, investors remain cautious, often favouring safer havens, and this, together with the actions of central banks has driven some government bond yields to their lowest levels for well over a hundred years. Against such a global backdrop, it is encouraging that for your Company we have seen a continuation of the recent trends of rising dividends and gradually increasing merger and acquisition (M&A) activity, which has frequently been referenced in our recent Annual and Interim Reports to Shareholders. For long term investors, dividends are a key contributor to overall returns, while for the value investor that role is amplified. The dividend environment continues to be favourable and is allowing your Board to pursue the Company's progressive dividend policy with an 8.5% rise in the first interim dividend to 7.0p per Ordinary Share. 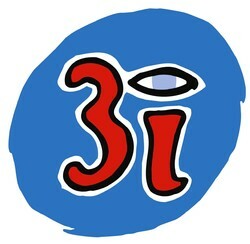 The interim dividend will be paid on 23 August 2012. For Shareholders participating in ASCoT's Dividend Re-Investment Plan, the last date for submission of Forms of Election is 2 August 2012. With the introduction of recent tax changes allowing investment companies to distribute capital gains, Shareholders should be reassured that the increased dividend has been delivered via the revenue account while also allowing an increase in the "old fashioned" revenue reserves which now stand at 28.1p per share. Those revenue reserves, while playing a minor role in your Company's longer term dividend record, were utilised in the immediate aftermath of the global financial crisis. £1,469,000 at an average discount of 17%. Your Board keeps under review the circumstances under which the authority is utilised in relation to the overall objective of seeking to manage the discount. Based on the dual influences of rising dividends and M&A activity, last year's Interim Report expressed cautious optimism, but this proved misplaced as the second half of 2011 saw dysfunctional European credit markets re-emerge as the central issue for investors. A re-run of last year cannot be ruled out, but nor can it be taken as a given. Uncertainty is always present and, while real economic challenges lie ahead, the equity market's ability, eventually, to work through such periods is not in question. Indeed, for investors with a long term horizon, a heightened level of uncertainty can also represent an opportunity. Your Board fully understands the Managers' portfolio positioning in favour of the smaller small companies in the NSCI (XIC) universe. This provides valuation support with the added benefit of balance sheet flexibility at the investee company level. Your Board remains confident that the Managers' experience and consistency of approach will benefit ASCoT over the long term. The investment objective of Aberforth Smaller Companies Trust plc (ASCoT) is to achieve a net asset value total return (with dividends reinvested) greater than on the RBS Hoare Govett Smaller Companies Index (Excluding Investment Companies) (RBS HGSC (XIC)) over the long term.